Enjoy the winter weather at the Snow Pile Treasure Hunt on Saturday, January 26! Kids in Preschool through 5th Grade are invited to hunt through the snow for golf balls and redeem them for prizes. We’re excited to offer a new Nature Scavenger Hunt this year for groups of all ages! Receive a clue card to decipher that will lead you to find different nature items. Find them all and win a prize! 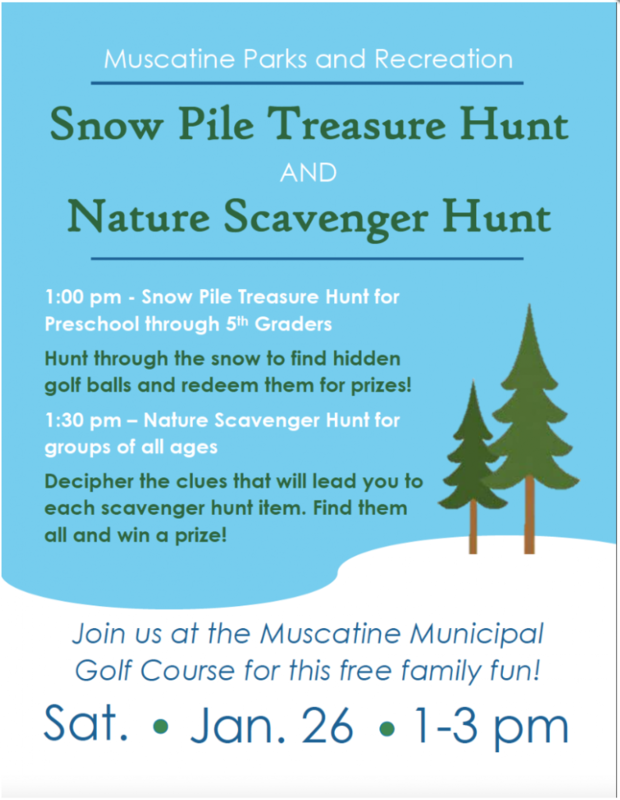 Mark your calendars and plan to join us from 1-3 pm for this free family fun at the Muscatine Municipal Golf Course!